Welcome to The Microbakery! This blog was created to document my tips, tutorials, works in progress, and finished minis with you. The name is a play on the whole "microbrewery" and "microcreamery" trend and represents two things. 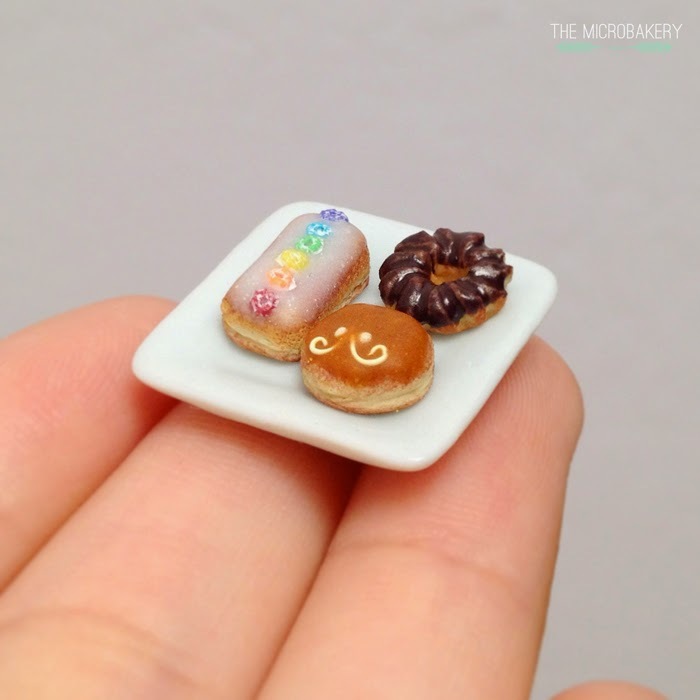 Not only does "microbakery" refer to a small artisan bakery shop, but I also make miniature-sized food out of polymer clay!